I recently attended a Tangoo media event at WINGS and was shocked to see that I was the only person who had visited this restaurant before! 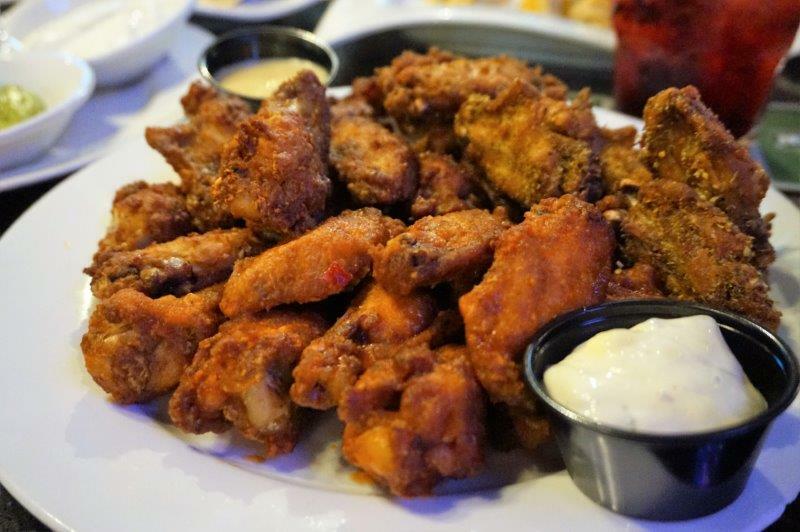 For those of you reading, have any of you been to WINGS before? 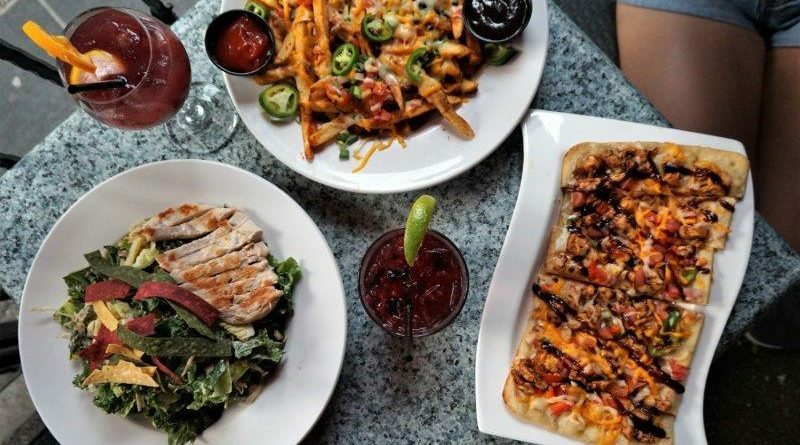 It’s a restaurant franchise that prides itself on their menu of 25 flavours of wings, and is great pub to be at for a hockey game or Saturday night when you just want meat and beer. 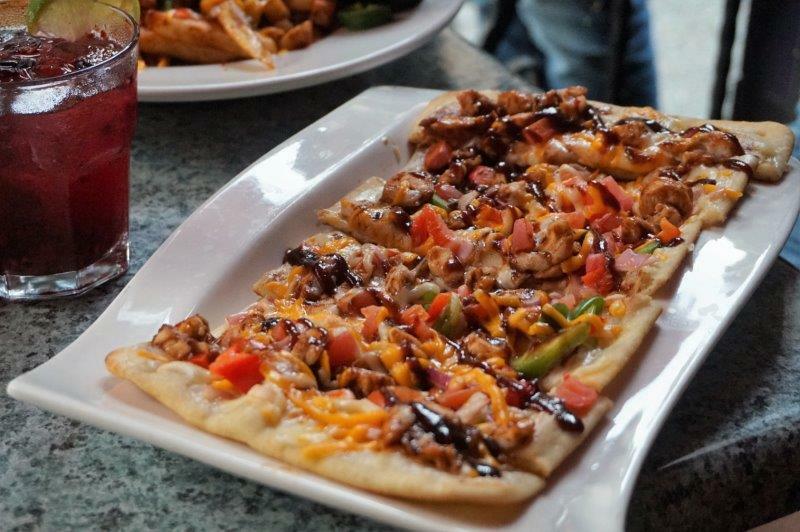 The BBQ Chicken Flat Bread was solid in both execution and flavour. The flatbread was thin enough to have some crisp but not so thin to break off when holding it with two fingers. The toppings all tasted fresh and the BBQ sauce amped up the overall flavour profile. On the left is their Sante Fe Chicken Cobb though now that I look at it, the chicken didn’t look cajun and I think they were missing some corn, red onions, and bell peppers. With their menu being completely new, I’m sure the kitchen is still currently working out the kinks. 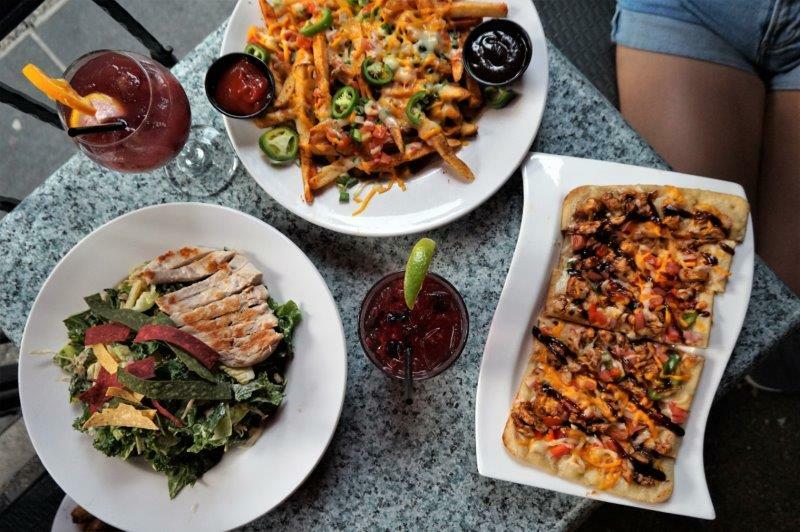 On the top is their Big Texas Fries which consists of cajun fries, a trio of cheese, tomatoes, jalapenos, green onions, and BBQ sauce. Highly recommended. 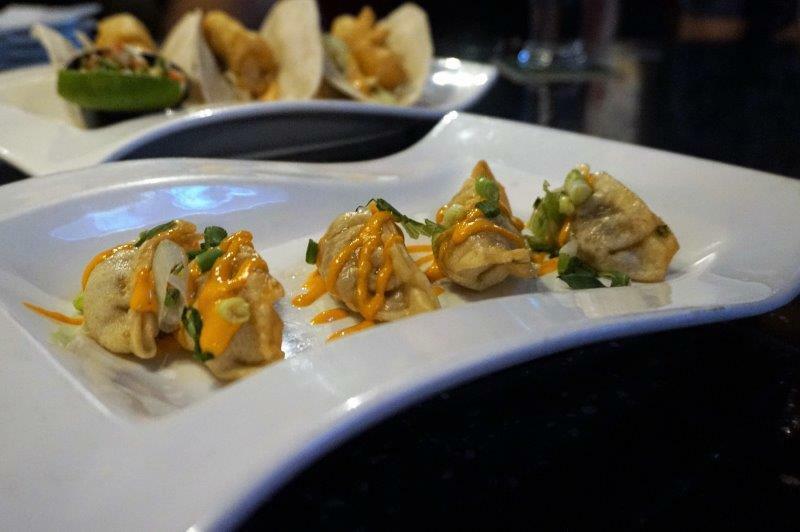 I have pretty high standards for potstickers or dumplings so these Crispy Potstickers were decent, but definitely nothing amazing. 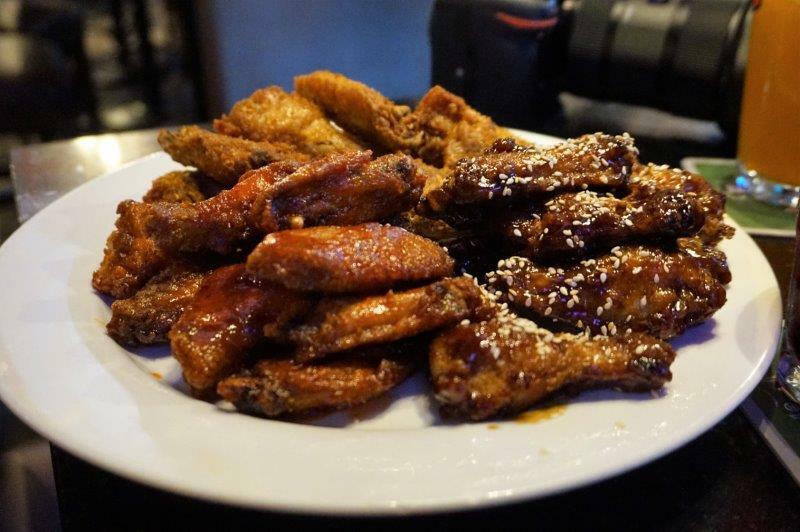 For wings, I believe this plate had Italian Roasted Red Pepper (my fav), Salt & Pepper, and Greek. And this one had Tokyo Teriyaki, Saigon Sirarcha Honey, and Cariboo Canadian Bacon & Chedda’. I didn’t try any of their fish tacos so I can’t speak to how it tasted. 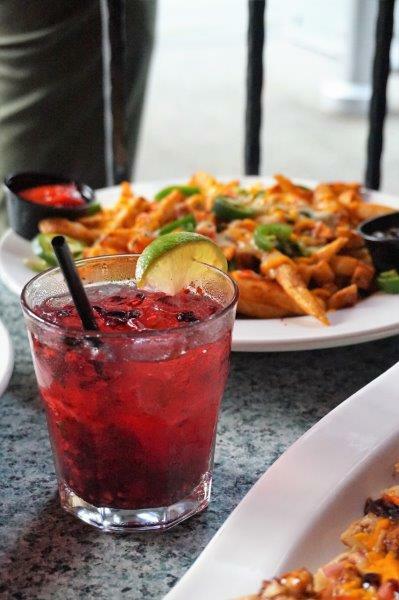 Can’t go to a pub and NOT have nachos, amiright?! 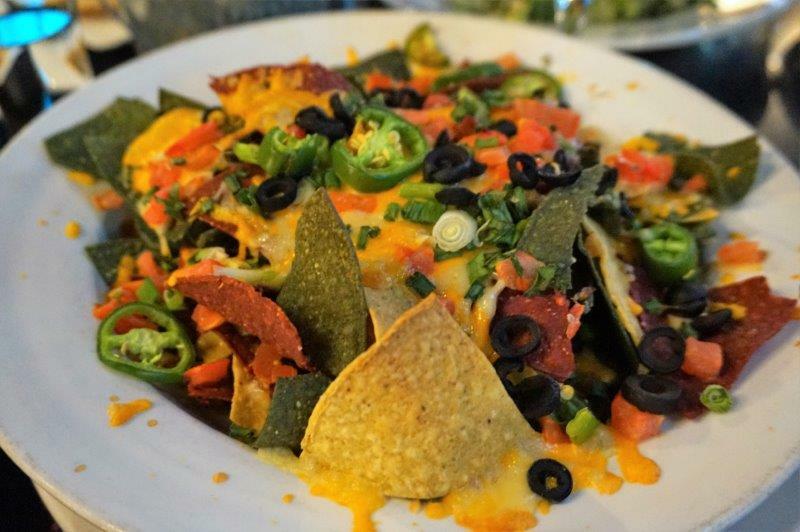 These Nach’R Average Nachos had the classic fixings, house-made tri-colour chips, olives, jalapenos, sour cream, & fresh salsa. Solid nacho dish. 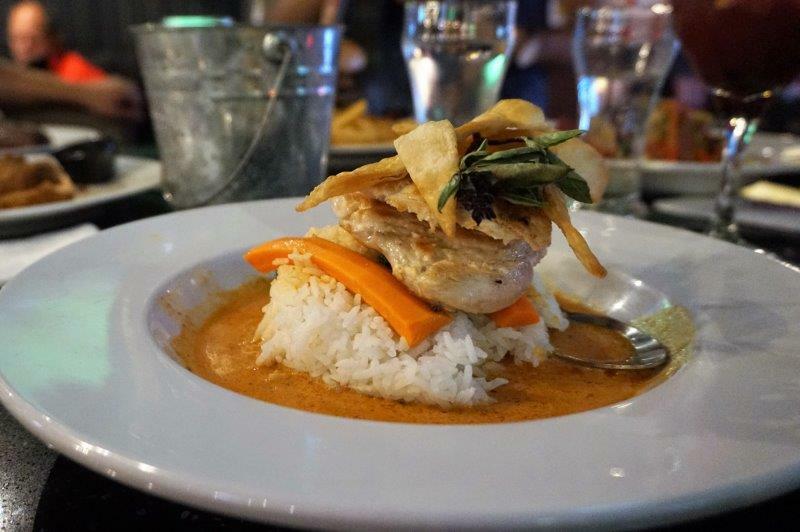 One of the instagrammers that got this was super impressed by the plating of their Thai Red Curry Chicken Bowl. They had no expectations of this curry bowl but was surprised to see them put a decent amount of effort into presenting it nicely. For all your burger lovers, I think I found your next challenge. 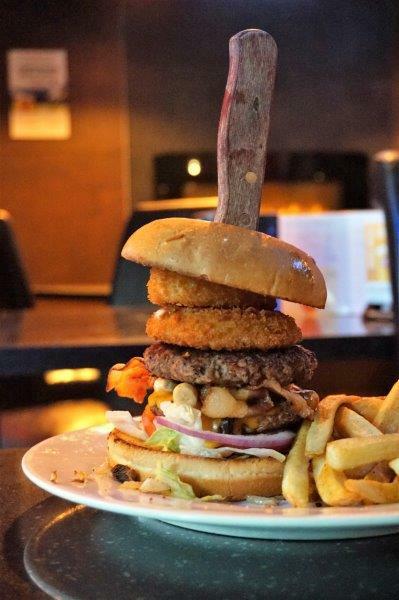 This craziness is called Sky High Burger which features their double patty burger with sauteed mushrooms, bacon, balsamic onions, cheddar cheese, panko onion rings, and mayo. Taste wise, my friend said it was delish. 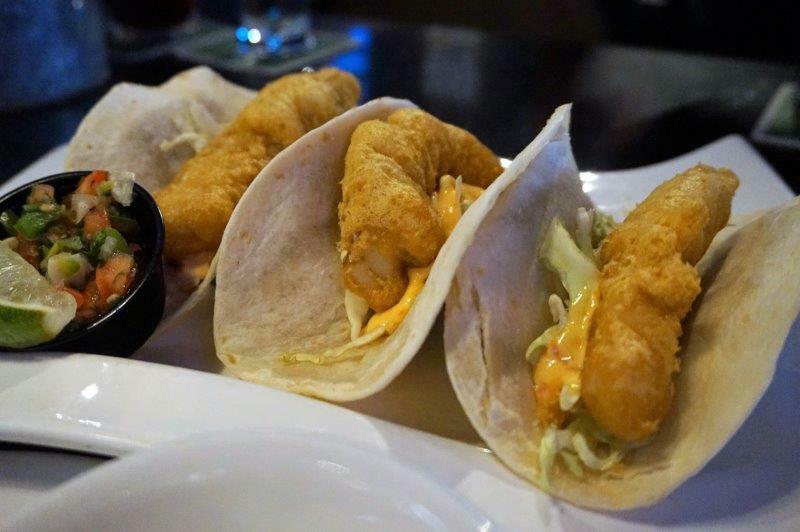 All in all, WINGS has upped their game by expanding their menu items way beyond what they usually are comfortable with. 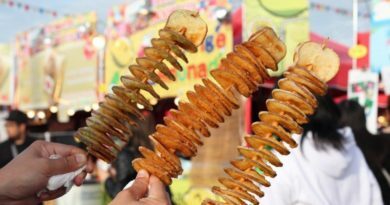 I found the dishes to be a hit or miss, but with their menu being super new to both chefs and customers, I think it’ll take some time before all of their items are perfected. Either way, I look forward to coming back in the near future to test their menu again! Vancouver Christmas Market- Bring Your Mittens!